What is Yap Twins Sport Management all about? Updated the Media section with 11 media articles. Click Here to view. 5. 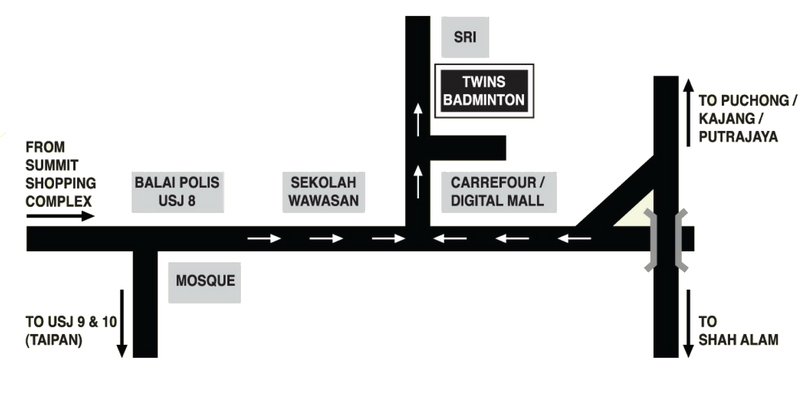 Special court rates at all Twins Sports Badminton Halls. Currently available at USJ19 and Kajang. To provide coaches, students and parents a systematic and measurable way to monitor the progress of each student. In line with YTSM's commitment in delivering ever better quality coaching services, YTSM proudly introduce the first systematic way of monitoring each student's development in an easy to read report card format. This system allows coaches to be able to determine each student's development through a series of exams and grades and by doing so allows the coaches to identify each student's weak areas and tailor the training for each student. After each exam, the coaching director, Mr. Yap Yee Hup will personally review each student's progress and through his years of experience in both coaching and being a former world top 5 ranking player ensures every YTSM student gets the best with no student left behind. Students will then have to submit their report card to their parents and if required, school teachers for them to monitor the improvements of each student. © Copyright 2009 Yap Twins Sport Management. All Rights Reserved.